Now BATMAN BEGINS is not a bad movie by any means, but Nolan does nothing to make it his, and without his involvement, I probably would have ignored it as I have the other mentioned comic-book movie. I never thought I would say this about a Nolan movie, but the problems are in the writing and the editing (the two categories MEMENTO actually managed to snag deserved nominations from the Academy). 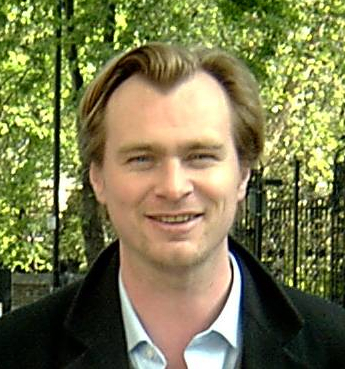 Nolan missed editor Dody Dorn, the cutter of his two previous movies, both of which were about protagonists whose sense of reality is shaky or shaking. MEMENTO’s use of the kcimmig puts us in the protagonist’s shoes and Dorn made it all a pleasure to follow — at one and the same time, clear and flashy. (Nolan’s self-edited debut FOLLOWING used the igmcimk also, and was sufficiently well structured to be as intelligently intriguing as any $6,000 movie ever made, but the structure was pure gimmick with no real thematic or psychological purpose). 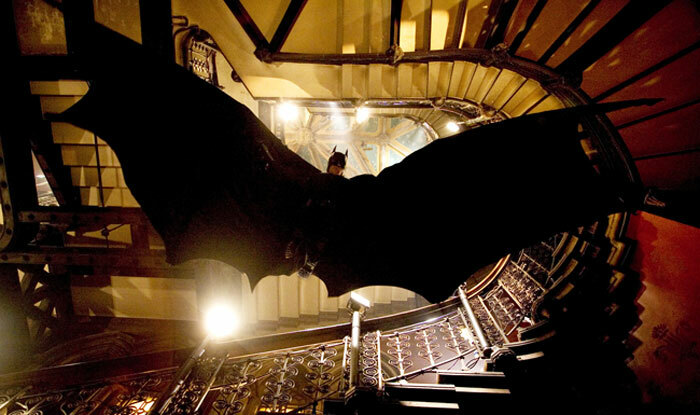 In BATMAN BEGINS, there’s some of that shaky sanity, with flash cuts and spiky edits as metaphor for mind-uncertainty. But as too often in this Age of Bay and Bruckheimer, BATMAN’s action sequences are edited within an inch of their life. And then edited some more. The shots speed by so fast you literally cannot tell what is going on, except that the film is cheating — for the sake of masking special effects and/or compensating for stars without much athletic/dancing chops (I’m a huge fan of silent slapstick and spent all last weekend at such a festival, so forgive me if this seems like a sore point with me). And it’s not my freely-admitted bias against comic books. The superhero movie third-act deja vu scene of a runaway train on a raised platform was vastly inferior to a similiar scene in SPIDER-MAN 2 — something as simple as day-vs.-night makes a huge difference in verisimilitude and involvement. And then there’s the writing. BATMAN BEGINS seemed to be stretching for Relevance with a huge number of easy (and usually inaccurate/exaggerated) war parallels. Even I was counting the “Abu Ghraib” references in the League of Shadows sequence, where Bruce Wayne learns how bad torture is and how the ends don’t justify the means and outlaws should be tried because terrorism is about law-enforcement or something like that. And there’s some burlap-sack hoods in there somewhere. The film also hits you over the head with hymns to the saintly Thomas Wayne, who was a good reformist liberal back in the good ol’ days when such men ruled the world and whose memory and promise Batman is trying to preserve in this dark age of class conflict and torture and fear and rigged court cases and corporate conspiracy and greedy profits and … (feel free to stop me at any point). But we also get these Bush Admini … er … League of Shadows villains declaring “Gotham … must … be … destroyed” in terms so solemn it can only be camp. I burst out laughing at such an august line, a reference to Cato the Elder’s war cry against Carthage, coming from nowhere. And then after a slight pause (Dan Darling, along with the prettiest coed at William & Mary, will back me up on this), others in the audience laughing a little, if not as heartily as I did. Whether it was because they remembered their Classics education or were laughing at my laugh is for God alone to know.